My two year blog'iversary came and went last month. I look back on this past couple years of blogging and I realize two major things. ONE. I have made the most amazing friends. Everyone says that, right? But I honestly believe that the book chat is a major part of that for me. I don't have people IRL who I can talk about books with (at least not the genres I like). We don't all like the same books here and we may never meet in person, but I cherish these friendships immensely. TWO. Blogging has given me the confidence and direction in my life that I needed. I started this blog as a hobby. I did crafts and took pictures of my kids. At times, I thought I would quit because it didn't come naturally. It took almost a whole year for me to discover an outlet that felt real to me. That blogging about books could actually make my life better. It may seem trivial to an outsider, but having somewhere to write about our passions and have someone else out there who reads it, enjoys it and writes back...To be involved in an industry, whether it be writing reviews, talking to authors and publishers or other reviewers, feeling like you're a part of it...It means the world to me. Now, I know exactly what I want with this blog, and also with my life. If that seems a bit extreme, it's because it is. I don't know if that makes me a "book blogger" or what that even means, but I know that every Thursday I have a handful of other awesome bloggers who want to chat about books with me. So what if I am tearing up a little bit right now. "I was so excited about today's Book Chat that I literally squealed, out loud, in my school's library"
"Thursdays are quickly becoming my favorite blogging day of the week because that means it’s time to link up over at Sweet Green Tangerine and talk books!" "I stumbled upon The Book Chat last week and I've been anxiously waiting for Thursday to come around again! Not only does it give me another excuse to talk about books, but I love reading through everyone's linked up posts to get some amazing book recommendations." "Thursday is quickly becoming my favorite day of the week. And not because it's payday either. Thursday is Book Chat day." I love reading stuff like this every Thursday. So today, for the book chat prompt, if you'd like, just pick any topic over the last year. It can be one you already answered and you want to answer again, or maybe one that you missed the chance to answer before. You can see all of the topics here. Come book chat with us! I love the book chat! You had a great idea and I know so many people are grateful for it. I love book chat day! Not to get sappy either, but I talking books with you and learning about ones that I'd have never picked up on my own. I've also found other wonderful bloggers through you and I love the little community it feels like. Also, there are 38 prompts from last year? How on earth did I count 42 on your page LOL. Thank-you for the book chat! This was one of the very first (if not THE very first) link ups I found when I started blogging. I'm still a newbie, but I've just loved finding a place to talk about books and find new suggestions. Thank you so much for doing this every week and sharing the love! I loved this post! 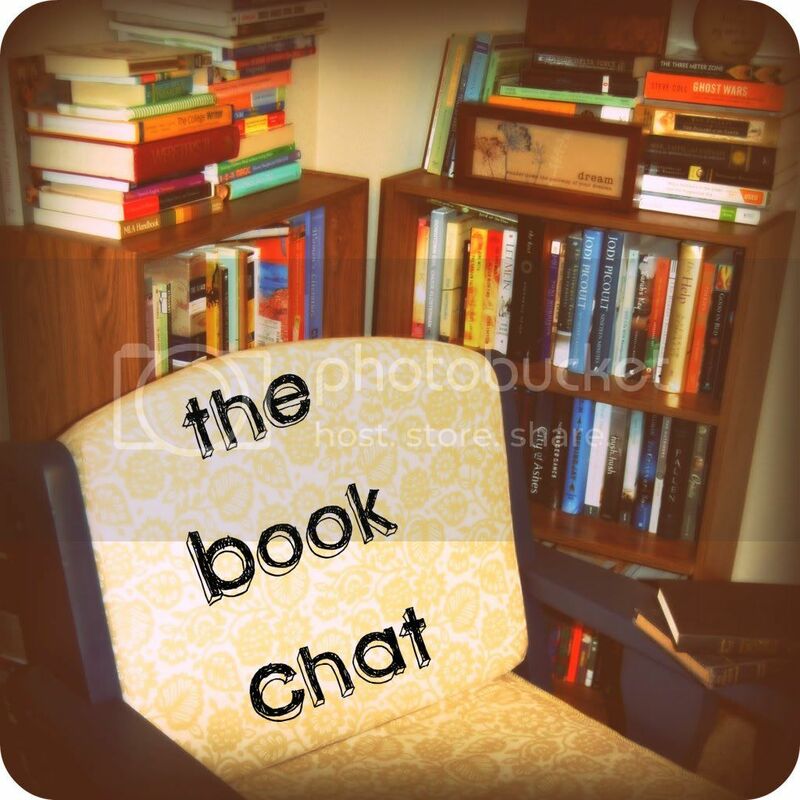 So glad to (finally) be a part of The Book Chat! This makes me feel all warm and fuzzy inside! I want to make reading a part of March. I get so wrapped up in blogging, chores, my husband, and working out that I forget the happiness that reading brings me.